Every once in a while a PS3 game comes along that really captures the imagination, creating a whole new slant on a genre and defying all our preconceptions in the process. Deus Ex Human Revolution is one such game, and although it doesn’t quite surpass the magnificent original, Eidos Montreal’s conspiracy laden sequel/prequel comes pretty damn close. 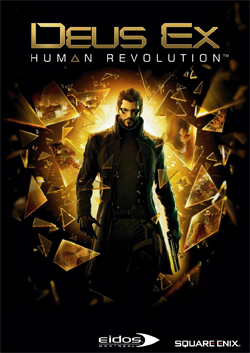 Set in the year 2027, Deus Ex Human Revolution charts the adventures of Sarif Industries Chief of Security – Adam Jenson. After sustaining horrific injuries during a terrorist attack on the corporation’s top secret laboratories, Jenson is forced to undergo cybernetic augmentation if he is to survive. 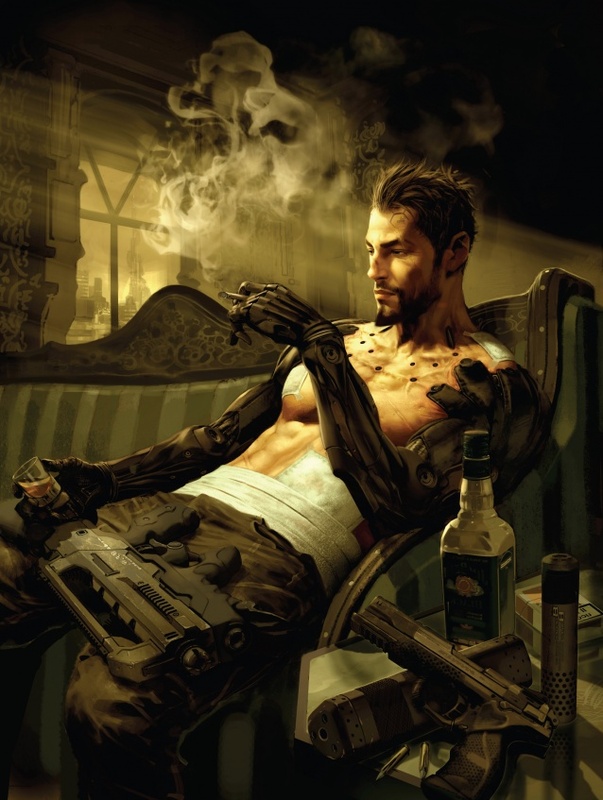 With his girlfriend murdered in the attack by an augmented mercenary, Adam Jenson vows to find out who was behind the attack, and sets about using his newfound cybernetic abilities to track down the people behind the massacre at Sarif Industries – uncovering a web of deceit and betrayal that could change the world forever. Deus Ex is a difficult game to quantify. The game word draws heavily on Blade Runner in terms of design and functionality, whereas the straight-forward FPS format is successfully eschewed by a liberal dose of Metal Gear Solid’s stealth and gunplay mechanics, while the plot owes much to the backstabbing corporate world of global supremacy envisaged by that old Amiga classic Syndicate. The game play is almost fluidic; with combat and stealth surprisingly simple considering the complexity of the premise, and the character of Adam Jenson is a cut above the generic 30 something stereotype we are usually lumbered with playing. As you explore the streets of Detroit you are almost overawed by the gleaming towers and rain swept streets that are nearly always perpetually bathed in a sheen of golden light. 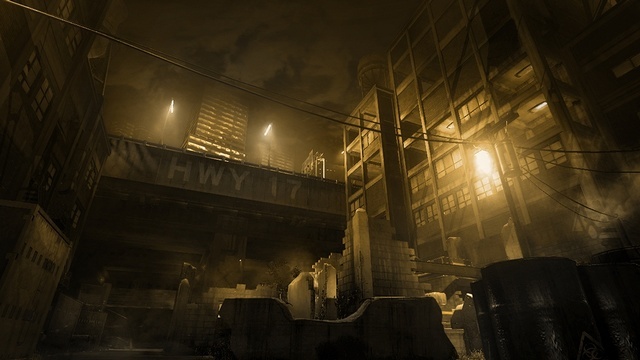 This stark colour pallet serves only to enhance the games atmosphere, but take a step down a back alley and you will soon find yourself walking through slums and disused factories, and later the game becomes a globe trotting excursion into a world where technology and man seem increasingly at odds with one another. I want an apartment like this! The attention to detail in Deus Ex is staggering. You can play the game in any way that you want, chose which augmentations to spend your hard earned Praxis Kits on, visit Limb Clinics, uncover countless modifications to your weapons; the list could go on and on. 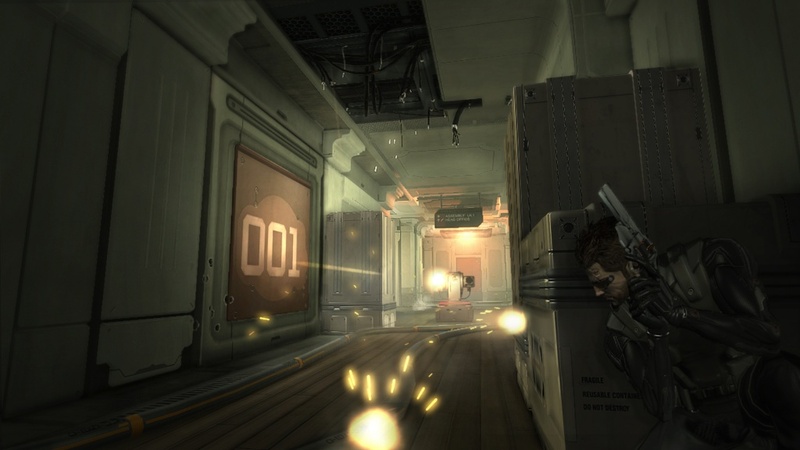 Though not a true sandbox game by any means, the plot of Deus Ex effectively lets you decide which course of action to take without making your decisions ever feel forced or protracted. You will encounter many characters on both your main missions and side-quests, all inexorably linked together, and played out in much the same vein as the investigations in L.A Noire. However, Deus Ex always uses these sequences to drive the plot forward. The success or failure of any given task never hangs on the twitch of an eyebrow or a shifty sideways glance as they do in L.A Noire. Deus Ex masterfully sweeps aside such conventions and never punishes the player for his mistakes. This effectively gives you free reign over your characters progress, enabling you to interact – or ignore – the subtleties’ of the plot as and when you see fit. The same level of care and attention also spills over into the in-game menus: further immersing Deus Ex in Syndicates legacy as you browse the mind-boggling choice of augmentations, manage your inventory with all the ease of a well trained killer, plan your tactics using concisely detailed maps, and clearly review your mission status at any time to ensure you’ll always be one step ahead of the enemy. Aside from a few niggling AI issues where soldiers and guards seem to sometimes just line up to be shot, and the initially baffling hacking process whereby you can access locked areas and computers, there is only one fault that can really be levelled at Deus Ex – the Boss Fights. They are needless, pointless and downright unfair considering all the time and effort you have to put into the games primary requirements of stealth and espionage. The first is with the Mercenary Barret, who seems unstoppable, until you realize that if you just hide in a corner this Jarhead bruit will simply blow himself up with all the grenades he keeps lobbing all over the place. It’s stupid beyond words, as are all but one of the subsequent Boss Battles, but fortunately they are also few and far between – so they don’t sully the game too much. In short Deus Ex Human Revolution is a marvellous game that is only let down by those superficial End-of-Level encounters. The multiple endings and nearly 10-15 hours of game play also make Deus Ex real value for money. 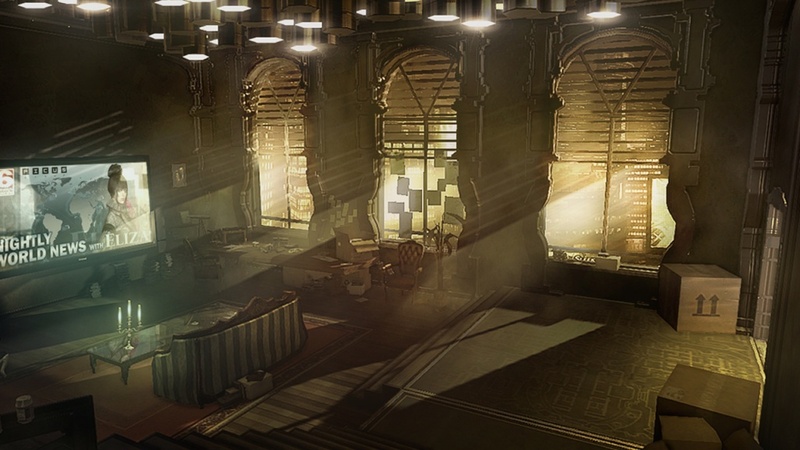 Few games manage to create such a detailed and all-enveloping experience as Deus Ex, it’s everything the lamentable Invisible Wars aspired to be. Beautifully crafted from beginning to end, Deus Ex Human Revolution is a thrilling journey through a stunningly realized vision of the future where humans (Naturals) and the technologically enhanced (Augs) vie for power in a world choked by pollution and poverty as civilization and corporate enterprise teeters on the brink of anarchy and revolution. Survival Horror or Co-Op Nightmare? With the 2012 E3 Expo in Los Angeles now well underway, the big names of the worlds gaming industry have already begun to unveil teasers of their for coming releases. 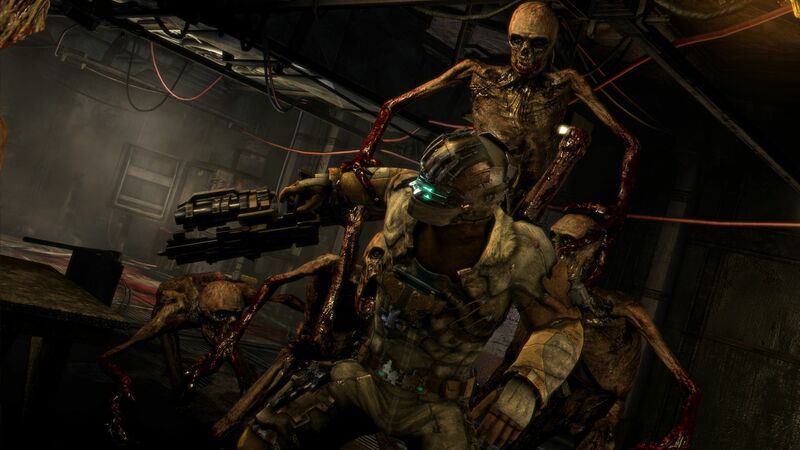 Of all the news coming out of E3 so far, Visceral Games previews for Dead Space 3 has interested me the most so far as I am a big fan of the Dead Space games. 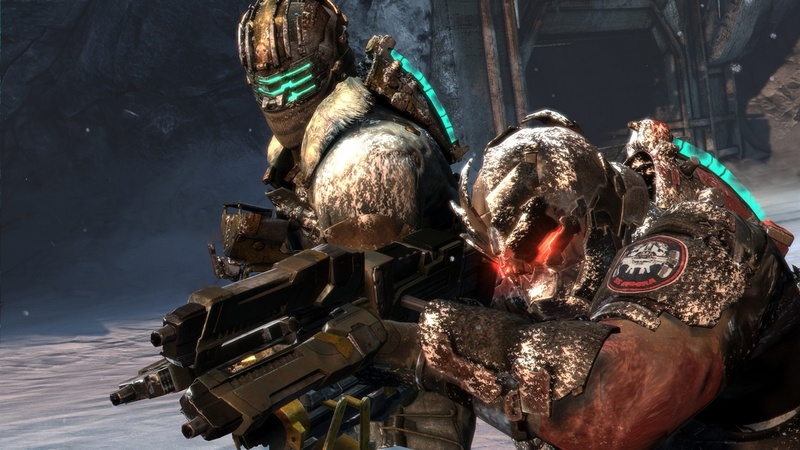 The trailer for Dead Space 3 reveals that Isaac Clark long running battle with the Necromorphs will continue on a frozen planet, where he will be teamed up with an entirely new character – the soldier John Carver. Together they will not only have to battle the harsh environment, but also work together if they are to wipe out the Necromorphs once and for all. 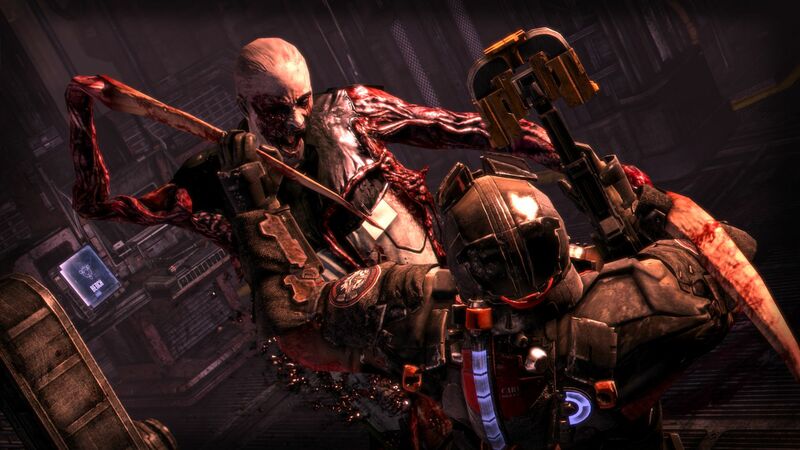 It may be a short trailer, but first impressions do seem to indicate that Dead Space 3 has gone more down the route of cooperative gameplay rather than the claustrophobic interiors of the previous instalments, which might possibly damage people’s anticipation of the game somewhat. 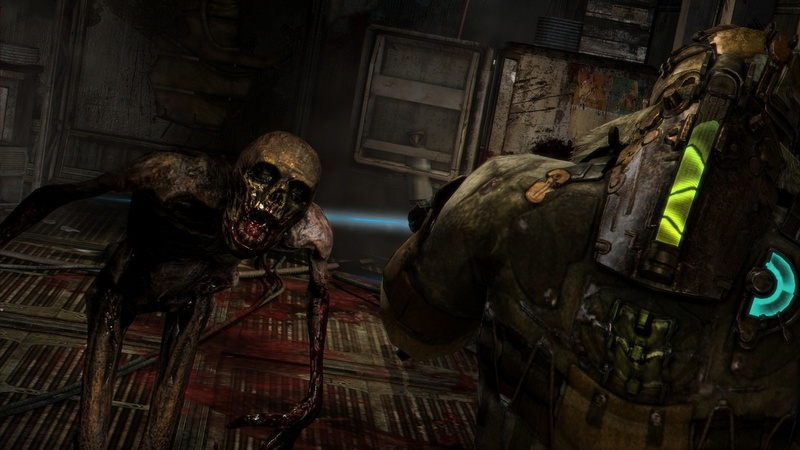 Although EA also demonstrated a longer section of the co-op gameplay, featuring footage of the characters fighting their way through what appears to be a huge mining facility, climaxing in an impressive boss fight that gruesomely concludes inside the belly of the creature itself! Done well, cooperative gameplay can work, but as Resident Evil 5 clear showed, when developers get it wrong it can really become an annoying trait and spoil what would otherwise have been a brilliant game. These trailers may only offer a brief taste of what Dead Space 3 might have to offer, hopefully the oppressive dread of the first two games won’t be completely overshadowed by the action sections, and although I have some reservations about the co-op gameplay I’m relieved that the rumours about Dead Space 3 being a FPS have proved unfounded. 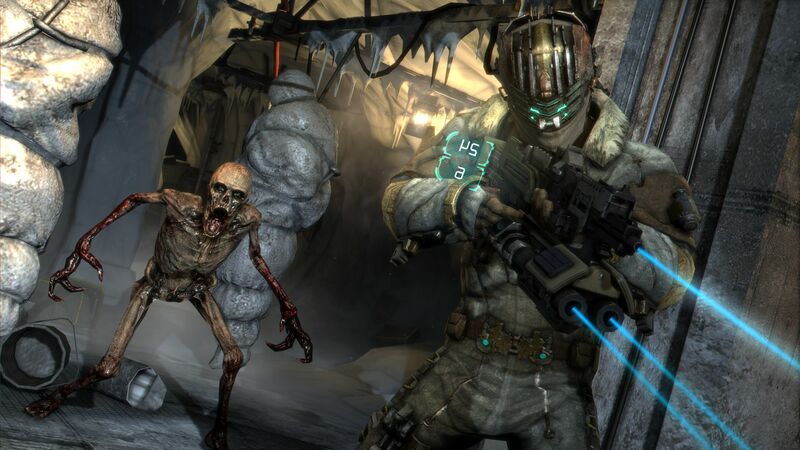 Let’s hope Visceral Games can avoid the pitfalls that have befallen so many co-op games in the past with Dead Space 3 and deliver a superior slice of survival horror on a level with its predecessors.